NEW YORK (CNS) — Beginning with 1979’s “The Europeans,” the producer-director team of Ismail Merchant and James Ivory, whose partnership was already of 15 years standing, churned out a succession of high-quality period films. The duo’s pictures were famous for their lush cinematography, all-star casts and compelling story lines, usually based on a deep, dark secret. Think “A Room with a View” (1985), 1992’s “Howards End” and “The Remains of the Day” (1993). Writer-director Derek Cianfrance (“The Place Beyond the Pines”) picks up the Merchant-Ivory mantle with “The Light Between Oceans” (Disney), his adaptation of the 2012 novel by M.L. Stedman. Beautifully shot in Australia and New Zealand, this melodrama is an old-fashioned weeper about love and loss, with a powerful message about forgiveness and the role of conscience. After fighting in World War I, Tom Sherbourne (Michael Fassbender) returns home to Australia a broken man. He eagerly takes a job as a lighthouse keeper on a remote island called Janus Rock, seeking solitude as a balm for his emotional wounds. He lives just at the point where the Indian and Pacific Oceans meet, and his signal is thus a vital beacon for passing ships. As he sets out from the mainland, Tom catches the eye of charming, spirited Isabel Graysmark (Alicia Vikander). They correspond, fall in love, and eventually marry. Making a home on their lonely island, the pair initially find happiness together. But they remain childless. Two miscarriages drive Isabel to the brink of despair. But not for long. One morning a dinghy washes ashore, carrying a dead man and an infant girl who’s barely alive. In this, Isabel sees the answer to her prayers. She persuades her reluctant husband not to report the tragedy so that they can raise the child, christened Lucy (Florence Clery), as their own. Years pass, but the weight on Tom’s conscience never lifts. A chance encounter on the mainland with Hannah Roennfeldt (Rachel Weisz), Lucy’s real mother, only makes matters worse. Hannah continues to mourn the loss of her husband and child. 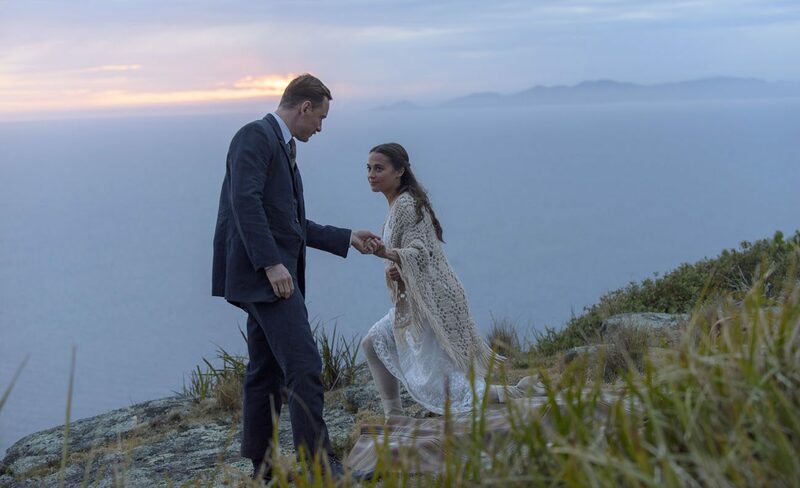 From its perch on the aptly named Janus Rock, “The Light Between Oceans” looks both toward the past and into the present, keeping viewers guessing as to whether the truth will win out and some version of justice prevail. In passing through this beautifully landscaped vale of tears, sensitive viewers will find that a jumbo box of tissues comes in very handy. The film contains mature themes, scenes of marital sensuality and a few profane oaths. The Catholic News Service classification is A-III — adults. The Motion Picture Association of America rating is PG-13 — parents strongly cautioned. Some material may be inappropriate for children under 13.